A normal cornea — the clear front covering of your eye — has a round curve, like a basketball. However, many people have an irregularly shaped cornea while others have an irregularly curved lens. Both cases can cause light that enters the eye to bend the wrong way, causing blurry vision. This disorder is called astigmatism. If an abnormally shaped cornea is causing your astigmatism, it’s called corneal astigmatism. Lenticular astigmatism is the term used for astigmatism caused by an irregular lens. If you have corneal astigmatism, your cornea is shaped more like a football. The curvature of your cornea is probably uneven, with some areas being flatter or steeper than other areas. Often, astigmatism occurs in conjunction with other vision conditions, such as farsightedness or nearsightedness. All three of these conditions involve errors in the way the cornea and lens refract, or bend light. Both children and adults can suffer from astigmatism. In minor cases, they may not even notice a change in vision. While this condition is usually present from birth, it can change over time. Astigmatism may also develop after eye surgery or an injury. In rare cases, a condition called keratoconus causes astigmatism. This means the cornea becomes thinner and more cone-shaped over time, leading to increasingly poor vision. 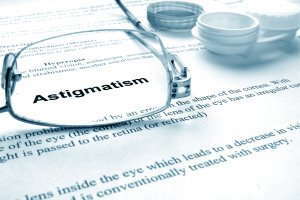 When you get a comprehensive eye exam, your doctor tests for astigmatism. She or he will measure how your eyes focus light. To determine the curvature of your cornea, the doctor uses an instrument called a keratometer. It focuses a circle of light on the cornea. This allows your doctor to measure the reflection and determine the proper fit of contact lenses, if you opt for this treatment option. If your doctor wants even more details, she or he can use a special video camera to map your cornea’s surface. Other instruments measure how your eyes focus light. Wearing eyeglasses is the safest and simplest way to treat astigmatism. Both glasses and contact lenses correct this disorder by altering the way light enters the eyes. Orthokeratology is a non-invasive procedure involving a series of rigid contact lenses. Worn under your doctor’s careful supervision, you can use these to gradually reshape your corneal curve. However, if you stop wearing these specially designed lenses, your corneas will return to their former shape. 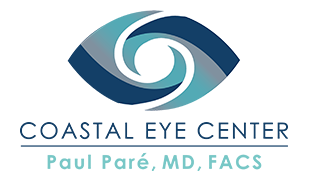 Refractive surgeries, such as LASIK and photorefractive keratectomy (PRK), change your cornea’s shape by using a laser to remove a tiny amount of corneal tissue. If you suffer from blurry or elongated vision, you might have astigmatism. Call us today so we can schedule an exam and get you on the road to clear vision.